Jim Schlatter has been a member of the Theatre Arts faculty since 1989, and is currently serving as acting chairperson. A proud native of Minnesota, Jim received his B.A. degree from the University of Minnesota, his M.A. degree from Villanova University, and his PhD from City University of New York. His area of specialization is in post-World War II directing, and he wrote his dissertation on the life and work of Polish theatre director, Kazimierz Braun. In addition to regularly teaching courses in Acting, Directing, Advanced Directing, and Theory of Theatre, Jim also teaches courses in modern and contemporary American theatre and drama, classical Greek theatre, and the history of the American avant garde centered in Greenwich Village. He has published articles and delivered numerous conference papers on modern American playwrights. He has a particular interest in the work of Tennessee Williams. 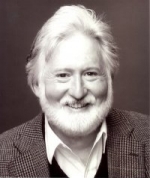 A member of Actors Equity Association since 1984, Jim has performed roles in over sixty stage productions, including, most recently, the role of Andrew Undershaft in Major Barbara, for the Theatre Arts Program. The production served as the Honors Thesis Project for two senior actors. He was for two years a member of the Contemporary Shakespeare Company at Villanova University and worked for several seasons with the Villanova Summer Shakespeare Festival, playing roles such as Malvolio in Twelfth Night, Vladimir in Waiting for Godot, Reverend Morrell in Candida, and Ben Franklin in 1776. Jim has directed a wide range of productions for Theatre Arts over the last fifteen years, including Shakespeare, classical Greek drama, Arthur Miller, Chekhov, and other modern European plays. Several of these productions have served as the research site for the Senior Honors Thesis in Acting, and he has taken three performance pieces to the Edinburgh Fringe Festival. Along with the other members of the Theatre Arts faculty, Jim advises students, consults on curriculum development, and helps to implement and promote the educational mission of the Program throughout the University. He is most grateful to be part of such a dynamic theatre program working with such a devoted, richly experienced, talented, and able faculty.